There is absolutely no doubt – a good night’s sleep is one of the keys to a long and healthy life. Every part of the body has to rest, repair and rejuvenate itself. There is absolutely no doubt – a good night’s sleep is one of the keys to a long and healthy life. Every part of the body has to rest, repair and rejuvenate itself. Sleep deprivation can lead to many physical and mental illnesses, so getting enough sleep is absolutely crucial to our well-being. But there is one important factor, stopping us from getting the rest we so desperately need. Bedding attracts various allergens, which tend to disrupt our much-needed sleep and can pose a serious risk to our health. Fortunately, there is a great solution – hypoallergenic bedding is the best tool to put up a fight against allergies in our bedroom. The problem is that various types of allergens target different areas of your bed. Mold is more likely to develop in more damp, humid places of your bed, while dust mites are a big problem for comforters and pillows. Fortunately, there are a lot of great solutions to eradicate the unwanted bacteria. 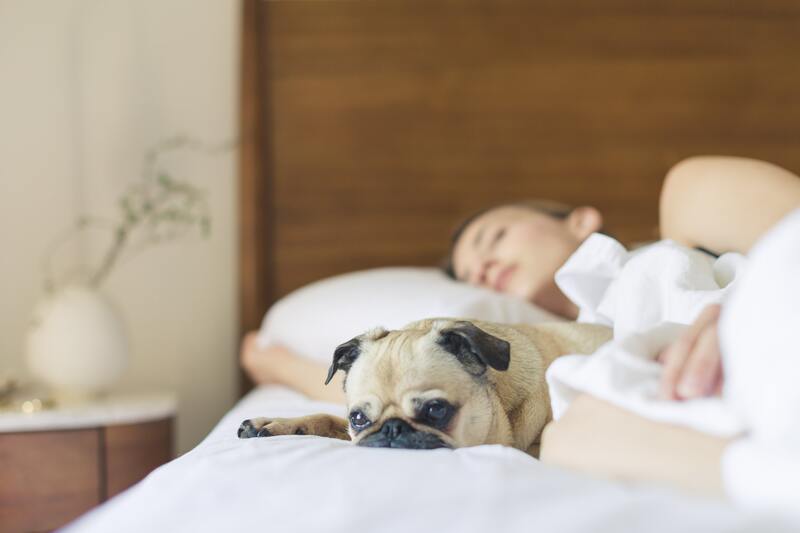 Here are some tips for choosing the best hypoallergenic bedding to help you greatly reduce the allergens in your bedroom. What is Hypoallergenic Bedding and how can it help you sleep? Hypoallergenic bedding is made from fabrics, known for their resistance to various allergens. Using more natural materials for your bedroom makes it much easier to clean and greatly reduces itching, sneezing, therefore greatly increasing quality of your sleep. Hypoallergenic bedding minimizes the amount of dust, mold, dander and dust mites, so it is the best tool to put up a fight against unpleasant bacteria. Synthetic material bedding greatly aggravates skin sensitivity problems. Manufacturing unnatural fabric depends on the usage of various chemicals, which are known to be harmful for our skin. Using silk, cotton or linen for bed is much healthier thanks to their natural hypoallergenic properties. Natural, breathing fabrics are exceptional at preventing mold growth. Linen has unique ventilating, moisture evaporating abilities, which are especially recommended for people with very sensitive skin. Getting a set of natural linen, cotton, silk sheets is a great way to get more sleep and improve your health. Dander, dust mites and various other allergens will eventually amass in your bedding. Any type of movement constantly releases unwanted bacteria. Cleaning a mattress can be very difficult, so using covers as an extra protection will be an absolute life changer. A proper coverage of bedding minimizes the negative influence of allergens on your health, so use a hypoallergenic protector for your mattress, comforter and pillows to prevent bacteria from disrupting your sleep. Memory foam and polyester are great hypoallergenic materials which can also be very beneficiary in your bedroom. Replace your synthetic or feather filled pillows with these anti-bacterial options. You can also use latex pillows instead: they are not just hypoallergenic, but also machine washable, which is a great feature to keep your bed as clean and healthy possible. As with pillows, try to avoid feather filled comforters. Choose silk, linen or wool instead. These hypoallergenic materials will protect you from bacteria without giving up comfort. Linen comforter is exceptionally good for this because of its unique filtering abilities, so you will stay healthy, cool and comfortable throughout the night.